Welcome to the Joint Robotics Lab! 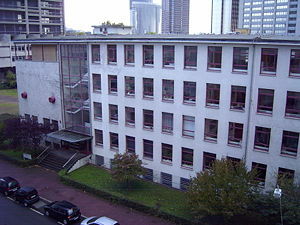 The JRL is a joint project of members of the department of computer science at Goethe University Frankfurt to teach students on complex autonomous systems. The idea behind JRL is to focus on project-oriented learning. Students can take the opportunity to work in a project of practical relevance, and work autonomously on cutting-edge topics under the supervision of researches at Goethe University. Cooperation between students and researchers improves soft skills and eases knowledge transfer. Linking research and teaching will be beneficial for students and researchers! Find out more about current projects at JRL and don’t hesitate to contact us! The JRL tries to improve visibility of natural sciences and computer science in particular to the general public by showing interesting, tangible, and apparent applications at various events. Our goal is to awaken interest for natural sciences especially in young people. We are present at events like Night of Science, Tage der Naturwissenschaften or the Girl’s Night. See our news page for coming activities. The JRL offce is located at the computer science building, room 20 (ground floor). QIS/LSF link The lab has moved to the math building, room 09b (basement). The easiest way is to go around the building and use the bell at the big red door. All windows are marked with unique labels! Since the JRL is still in construction, we do not have opening hours yet. If you want to visit the lab, just feel free to drop in. You may look at the Teaching page and the RoboCup page for current lab hours.